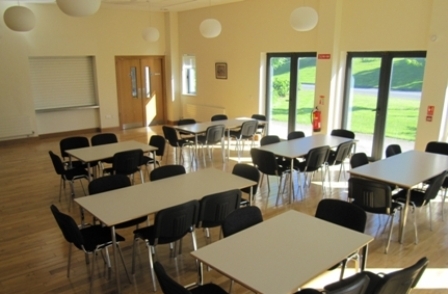 Quaker House Dublin Dining Room is 90 square metres and is suitable for up to 80 people. A hatch from the kitchen together with double doors to the dining room allows good access for your catering. Large windows and a high ceiling give a bright and sunny aspect to enjoy a break away from your meeting area. Dividing doors can be opened into the large Meeting Room, allowing for an even greater number of people.